Individuals have continued to celebrate the Nigerian hero at death as his books have been soaring on the Amazon bestseller since his death. Naija News reports that Adesanmi died in a plane crash in Ethiopia on March 10, 2019, on his way to Kenya from Canada to attend an African Union conference. Since then, his award-winning book, You are not a country Africa, has been soaring on the bestseller list for African literature, overtaking books by legendary author Toyin Falola; Nelson Mandela, post-apartheid president of South Africa; Joseph Conrad, Mark Twain, and other great authors. The book, which won the inaugural Penguin Prize for African literature soared into the top 20 best selling books on African literature, at number 19, just after Adesanmi’s passing. 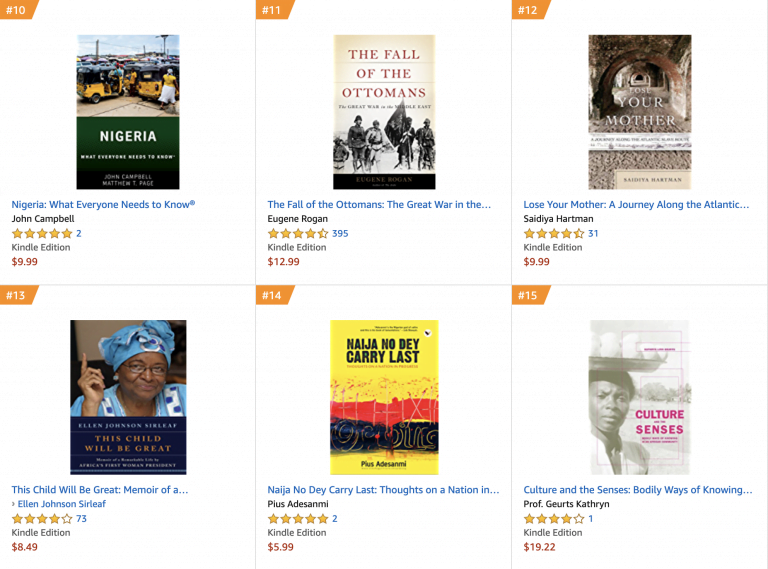 His latest book, Naija no dey carry last, made it to the fourth position on the Amazon bestseller list for West African history, displacing the likes Chinua Achebe’s There was a country; John Paden’s Muhammadu Buhari: the challenges of leadership in Nigeria; and Okonjo-Iweala’s reforming the unreformable. Describing the book, Okey Ndibe, one of Nigeria’s foremost contemporary writers, said: “Pius Adesanmi’s Naija No Dey Carry Last is a treasure of pleasures, a gem of a book”. “Adesanmi is a prodigious writer and deep thinker whose essays exude vigorous intelligence, rare insight and devastating wit. The essays in this peerless collection are irreverent, evocative, mind-expanding, and highly entertaining. Meanwhile, the Kogi state government has said it would immortalize Adesanmi by making all his books available at all major libraries in the state.